“The chief architect of the Hufeisensiedlung (“Horseshoe Estate”), Bruno Taut was a social minded reformer who also served as chief architect of the GEHAG, a Berlin residential property company, where he set global standards for large-scale public housing. He designed three more Berlin housing estates that today enjoy World Heritage status, and had a decisive effect on the face of the Neues Bauen (“New Building”) movement. His biography rejects early 20th century ideas, and the tumultuous effects of two world wars on Germany’s cultural and intellectual life. After attending the Baugewerks-schule, a building trades school in his hometown of Königsberg (now Kaliningrad), Taut was first hired by Bruno Möhring in Berlin and then Theodor Fischer in Stuttgart. In 1909, he founded the Berlin-based partnership Taut & Hoffmann with Franz Hoffmann and his brother Max Taut. The specialized trio attracted attention with their bold design of the “Iron Monument” at the 1913 Leipzig construction fair, and the German glass industry’s pavilion for the 1914 Builders’ Federation Exhibition in Cologne, a work regarded as a sort of modernist manifesto. Taut also made a name for himself with his work on the Falkenberg Garden City housing estate (1913-1915), for which landscape gardener Ludwig Lesser planned the open-air facilities. During World War I, Taut – who was politically committed to socialist ideals and pacifism – developed an anti-war manifesto and wrote two visionary, social-utopian image cycles Alpine Architektur and Auösung der Städte (Dissolution of Cities). In 1918 he became one of the founding members of the Workers’ Council for Art, which was dedicated to promoting the New Building movement. From 1921 to 1924, Taut served as city architect in Magdeburg and laid out, among other things, the Reform garden city housing estate. In 1924, he returned to Berlin as the chief architect of GEHAG, devoting himself mainly to the construction of large housing estates that were strikingly urban in character. Standing out as they did with a variety of individual details in construction and colouration, these developments were destined to become his most important legacy. In the years that followed Taut planned a number of apartment buildings, residential complexes and housing estates in cooperation with GEHAG’s design office, headed by Franz Hillingers in Berlin. These included the Horseshoe Estate”, Onkel Tom “forest” housing estate in Berlin-Zehlendorf, and the residential areas Schillerpark (Berlin-Wedding) and Wohnstadt Carl-Legien (Prenzlauer Berg), both of which are now run as UNESCO World Heritage sites. 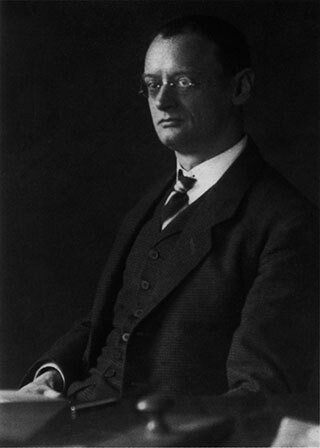 In 1930, Bruno Taut was appointed professor at the Technical University of Berlin (now TU Berlin). Besides his field work as an architect, Taut wrote a number of proclamations, articles and influential theoretical publications. He was also a member of various associations including the Deutscher Werkbund (a German affiliation of craftsmen, including designers and architects), the Prussian Academy of Arts in Berlin, and the Berlin Zehner-Ring, a Modernist architectural collective. Although he always pursued a very individual approach as an architect and urban planner, Taut maintained close ties to leading New Building architects such as Hans Scharoun, Adolf Behne, Walter Gropius, Ernst May, the Luckardt brothers, and Martin Wagner, an important friend and ally. Among experts, the German architect Bruno Taut (1880-1938) is considered the master of colorful building whose pioneering work set global standards for the design of large-scale housing estates. His “Horseshoe Estate” in Berlin, built 1925-1930, is internationally recognized as a key work of reform-oriented public housing and was awarded UNESCO World Heritage status in 2008.